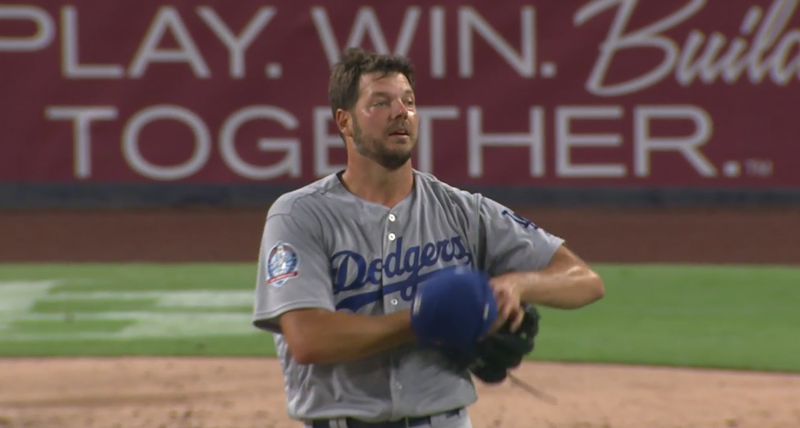 After alternating wins and losses for the past four games, the Dodgers continued the trend by dropping tonight’s contest against the Padres, 4-1. While it was the Dodgers who capitalized on a big inning yesterday, it was the Padres who took advantage of one today. Things went well for starter Rich Hill through four scoreless innings, but things changed in a hurry in the 5th. 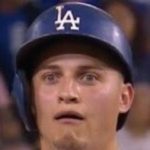 He surrendered a walk, a single, and a homer to start the frame, then with two outs gave up another homer to put the Dodgers in a 4-0 hole. Other than that outburst, Hill looked quite solid. While he did give up eight hits, he only walked one and struck out seven in his seven innings, not giving up another run. JT Chargois then took over for Hill in the 8th and got a 1-2-3 inning. Honestly though, none of that mattered much the way the bats were silenced by Eric Lauer. He went 8.2 innings on 115 pitches, striking out eight and allowing just four hits and two walks. While there was some hard contact the Dodgers got unlucky on, the game was never in doubt for the Padres. Unfortunately for Lauer, one of those hits was Max Muncy‘s 21st dong of the year with two outs in the 9th to ruin the shutout. With that, Kirby Yates was summoned and he locked the game down with a strikeout. The Dodgers fall to 49-42 overall with the loss, and also drop to 1.5 games back in the NL West due to the Diamondbacks beating the Rockies. Kenta Maeda will try to help the Dodgers bounce back at 4:10 PM HST/7:10 PM PST/10:10 PM EST, and he’ll be squaring off against Joey Lucchesi.